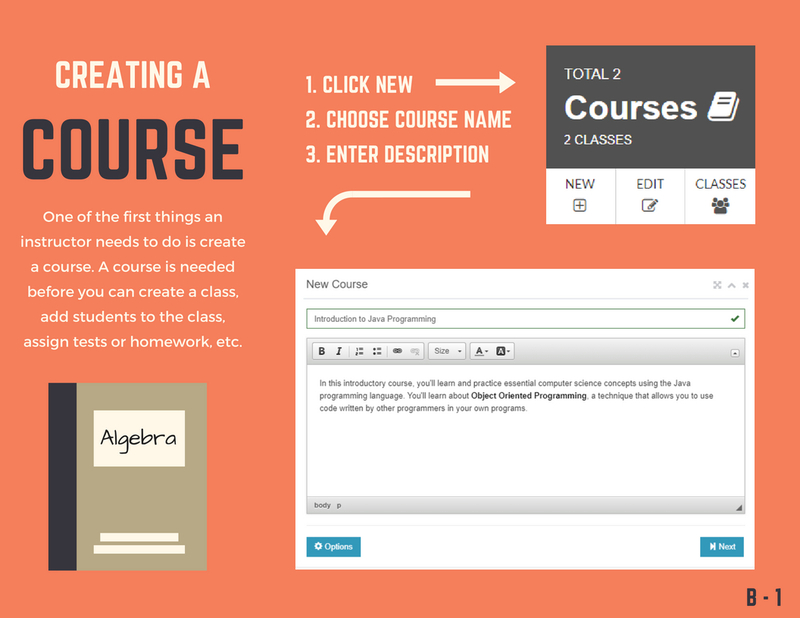 Creating a course is one of the first things you need to do. 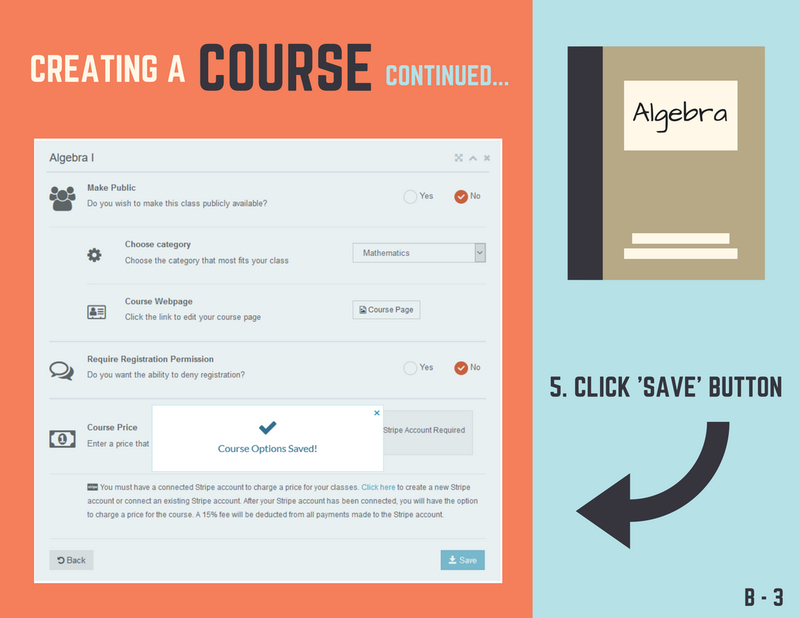 A course can be the subject matter than you plan to teach, such as Algebra or History. 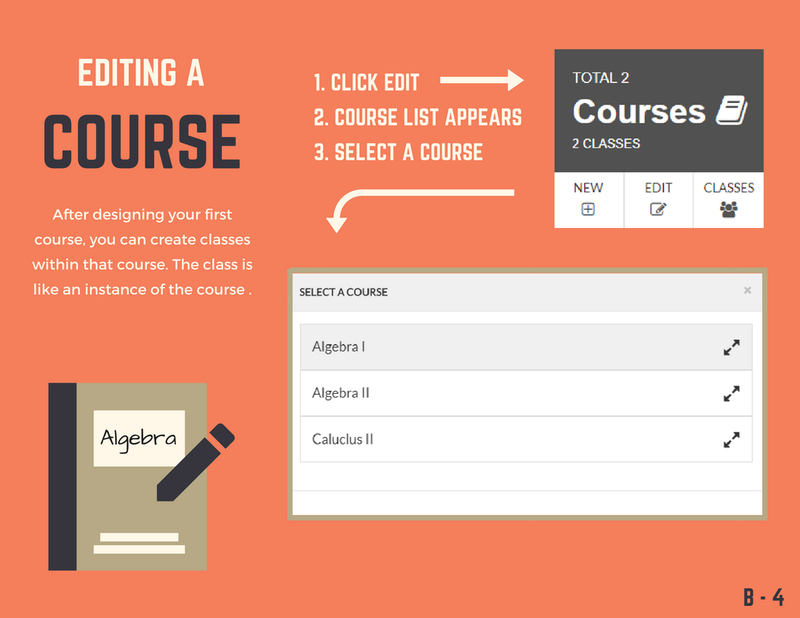 Before you can start assigning tests, tasks, and creating a grade scale, you must first create a course. 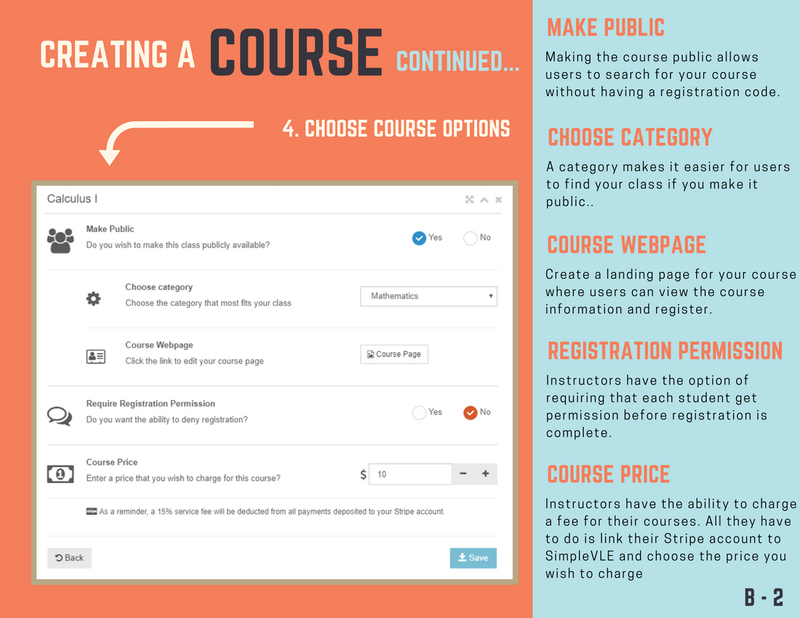 Once a course is created, you can create a class that students can register for.